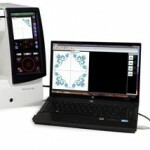 With the advanced PC connection with horizon link you can view and edit your embroidery patterns via a computer interface. Let’s have a look and see what else the Janome Horizon Memory Craft 12000 has to offer. Horizon Link, Advanced PC Connection – As already mentioned, although the Janome has a generous size on board screen you can now attach the Memory Craft to your PC or laptop via the exclusive Horizon Link. this means you can perform editing functions on a screen as large as you want. You don’t need to transfer the layout to the Memorycraft, all the editing is happening real-time. Because software is installed on your computer you can create anytime and then sync to your machine. JPX Design Format – This is a new file format for embroidery designs which you can use to fine tune your designs before transferring via the Horizon Link. Stitch Composer Software – Another unique feature which allows you to create and edit stitches from your computer. You can modify any of the stitches in the stitch composer library and save it as a new stitch giving it a memorable name. Using the dot-to-dot drawing tool it’s easy to create your own unique stitch. Patterns can me mirrored and the needle position specified. This feature gives you the creative freedom to develop your own style and create wonderful designs. Large space – At 11″ to the right of the needle; this is the largest bed space from the Janome range. This makes it suitable for quilting and projects that need extra space. It also means a larger embroidery hoop can be accommodated. This space also has a 15″ stainless plate with useful measurements embossed in it. 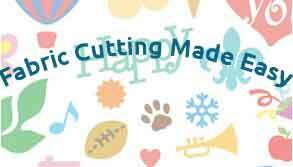 Free Motion Quilter – Precision Stitches and more decorative choices make free motion quilting a pleasure. The foot height can be customized for a particular project and the settings saved. There is also an Automatic Pressure Height adjustment feature. Retractable Height Light – This allows greater illumination in the area you need it. With the 10 built-in LED lights in five locations seeing your project clearly won’t be a problem! There is also an Acuview Magnifier accessory available for extra magnification. 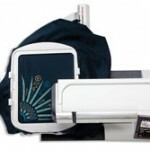 Linear Motion Embroidery System – Gives you a larger embroidery area and it slips neatly to the back of the machine. You can leave it attached when you do regular sewing and is the only system on a home sewing machine that allows free arm embroidery. Although the Memory Craft can embroider up to 1000 stitches a minute there is no loss of stitch quality as the embroidery unit is so stable. One Step Plate Converter – Easily switch plates with a simple press release button; then just snap the new plate into place in seconds. This system also has a sensor which prevents sewing the wrong stitch with the wrong plate, no more broken needles and a great time saver. 9mm Zig Zag – A great design feature that lets you fill a bigger area with bolder, brighter, decorative stitches. Most of the built-in 425 stitches can take advantage of this feature. 25 of the included feet can be used with this 9mm zig zag stitch. 4 Embroidery Hoops – The FA10 Hoop is an elongated shape 3.9 inches x 1.6 inches (100 x 40mm). Perfect size for doing embroidery in small places like sleeves and cuffs. You can also embellish existing garments without taking them apart. The SQ14 Standard Square Hoop is 5.5 inches square (140 x 140 mm), perfect for many designs. The SQ23 Big Square Hoop at 9.1 inches square (230 x 230 mm) is great for “in the hoop” stippling on your quilt blocks and squares. Quilting directly in the hoop has become popular recently and this hoop is made for the larger square designs. The magnetic clasps give more precise results moving from square to square. The GR Grande Hoop called the “grande” because it’s 11.8 inches x 9.1 inches (300 x 230 mm) size! 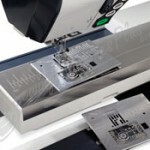 This is for those large scale designs which come with the Memory Craft 1200 and allows even better precision. This hoop also features magnetic clasps. Watch the video below to see the Janome Horizon Memory Craft 12000 Embroidery Sewing Machine in action. Top loading rotary hook bobbin. Automatic cloth guide with the AcuGuide. Layered Fabric Feeding System with AcuFeed Flex. 7 piece feed dog with drop feed. Variable Zig Zag for Free Motion Quilting. Speed control via a slider. Automatic thread cutter with memory function. Up to 4MB of memory storage. On-screen help with the sewing application support. 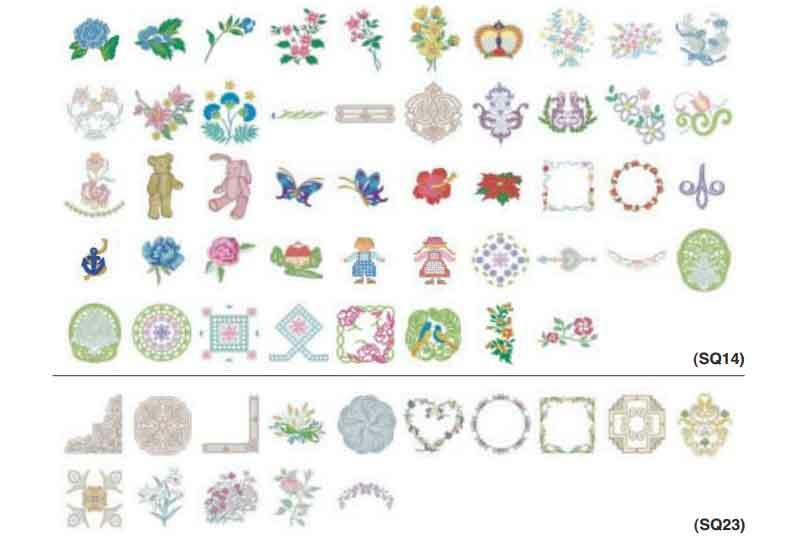 338 Built-in embroidery designs and10 Fonts with European characters. Resize, combine, duplicate, flip, arc, group, drag & drop, zoom, trace, and user color choice with the editing functions. Automatic return after a thread break. Choose which brand of thread with the thread brand selector. 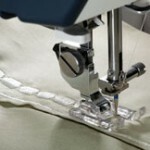 Particularly useful for quilters is the optional AcuFill system. To see how it works and how it could benefit you watch the video below. It’s pricey, but not as much as other embroidery sewing machines of the same class. A beginner might find it tricky to use. The computer connection with real-time editing and the user-friendly software makes it easy to be creative. It works with extra large hoops which can stay fixed during normal sewing. I love the retractable light, easy to get the light where you need it most. I am blown away! Just wow is all I can say. I can see why it cost $7000 and I am sure it is worth it. I can just imagine all the fun one could have with this embroidery machine. WOW what an awesome looking machine. 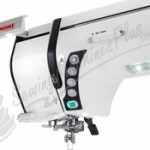 I so love embroidery sewing machines especially the Janome range of products. I’d love to have a play with that.. I wonder if I can rent it for a week as I’m only 12 months into the old Janome I have. GREAT and detailed review thanks Kathy. Very nicely done!!! 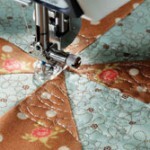 i know nothing about quilting but your page looks awesome!!! Outstanding!!! Hi Jim, glad you enjoyed your visit. 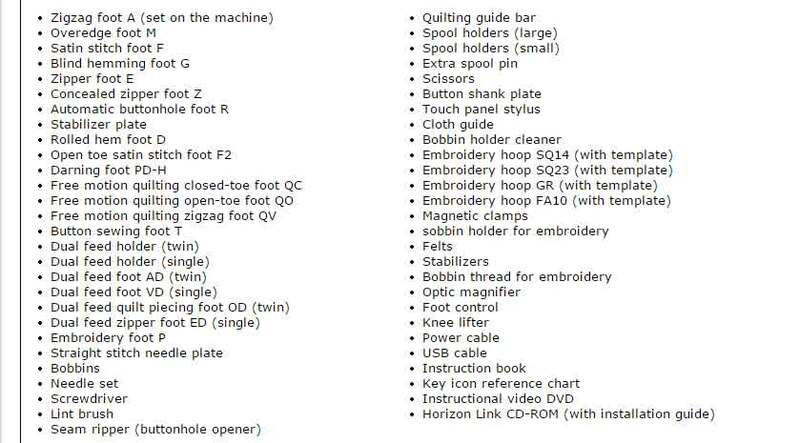 Even non-quilters can enoy reading about the functions and features of the Janome Horizon Memory Craft 12000! Wow. That’s a pretty spectacular machine. Used to have the 525 (525S or Z). Japanese make I believe. I preferred it to the Singer. It was a great machine, but not a patch on the Horizon Memory Craft with it’s computer embroidery etc. nothing like that on the 525 I’m afraid. It looks like something for the pro rather than the enthusiast to be honest, especially at that price. Holy! That is quite the expensive and powerful machine! I have to admit that I know nothing about this but it seems like there is not much it cannot do. Is that really the typical price for such equipment? Wow, I would have never guessed. But at the same time, this seems quite high tech, which is for sure quite useful. To think my grandmother used to do all her embroidery by hand. She was really good at it and some of her designs, though simple, looked really nice. If she were alive today, she’d go crazy over Memory Craft 1200. Heck, this thing looks so high tech and cool, even I could get into embroidery! That looks like a neat machine, don’t know much about sewing or Embroidery nor does my brother or my sisters so forgive me if my questions have an obvious answer. From what I understand, this machine is a regular sewing machine that has an attachment for embroidery right? I know far too often when a machine has attachments that replace another machine is often inferior, Is this the case with this system? My mother is 71, does the techniques with this machine differ from what she’d be accustomed to, keep in mind, she’s probably had her equipment for 20 or 30 years. I imagine the advancement in technology changed but are the basics the same? Hi Dan. All the embroidery stitches are built in and you can also design your own with The Memory Craft 12000. 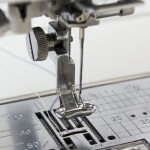 As with any machine you need to change the foot according to the sewing you are doing, like a zipper foot for attaching zips, or a buttonhole foot. To do embroidery you attach one of the embroidery hoops, as you would with hand sewing. These hoops are snap on and, the difference between this and other machines is you can leave the hoop on for regular sewing. I really respect you for the kind of content that you create. Who could even think of reviewing a memory craft in such detail. You are doing a great job with your site. I come here often to see what you have added. 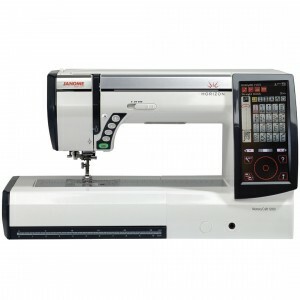 I really like the looks of the Janome Horizon Memory Craft 12000 Embroidery sewing machine. Thanks for adding this review. Thanks for stopping by and leaving a comment Glenda. Maybe this Memory Craft machine will inspire you to take up quilting or embroidery! Your Reviews on Janome Horizon Memory Craft 12000 Embroidery Sewing Machine are very detailed and research information that very beneficial to the visitors to this site. Having an Image of this product along with the Accessories is very helpful for the visitor to have an idea what the product look like. Also, you let the visitors that they have options. You gave Reviews on machines like Singer, Brother, Janome, Long Arm and Juki. This is great, now the visitors have other machines to make a comparison to your featured Machine, the Janome. Keep up the good job you’re doing, Kathy. Take care. I’m glad you enjoyed my review Prince, and your visit to my site. thanks for stopping by and leaving a comment. I like that you can edit real time, but I’m certainly not an avid advanced sewer that would benefit from such a high tech machine. Is there something a little simpler that you can recommend for a novice like me? And can you design your stitching images from scratch, or do you have to go off of templates? Thanks Pete, Janome make quality machines, especially in the higher price range. The Memory Craft certainly isn’t an ordinary sewing machine as you can see and quilters love it!